Scotland has been on my bucket list for a very long time now, even though I have actually been there many times. You see Scotland holds a very special place in my heart. It was after-all the place where most of my childhood holidays were spent. My parents are keen mountaineers so most of our holidays were spent in the Highlands, and when I moved away for University my parents actually moved to Scotland for a while. The Rest and Be Thankful. I know for a fact that growing up my brother and I did our fair share of complaining on these long hikes through the mountains, and I distinctly remember longing for the lazy beach holidays my friends all seemed to be going on. However, I now know that I am not built for such holidays and I have never managed to laze around on a beach without getting bored within minutes. I am instead much more content on one of those long walks I used to loathe so much, be it mountains or coastline, I am most at home in the great outdoors. So when Hoseasons offered us the chance to visit Scotland I couldn’t say yes fast enough. The mountains were calling me home! Most of my holidays growing up were spent in tents, or youth hostels or the like, and most of the holidays we have taken our children on have been very similar, with a static caravan probably being the height of luxury we have achieved. So when we arrived at our Lodge at Lochgoilhead I had to pinch myself a few times. Other than our honeymoon in Italy, many years ago, this was hands down the most luxurious place we have ever stayed! The lodge was very spacious and actually had 4 bedrooms, so the children could all have a room each (I don’t think that has ever happened on holiday before!) and every single bedroom had an ensuite! Every single one! The children thought it was hilarious to have their own personal bathroom. The living area was huge and had 4 sofas and a big screen TV, the kitchen was well equipped too and had that all important dishwasher. It even had a huge fridge freezer with a built in ice dispenser. We didn’t go to Scotland to hydrate our children, but I don’t think they’ve ever drank so much. Clearly being able to get your own ice makes it all much more appealing! Our lodge nestled in amongst the trees and stream. But the pièce de résistance has to be the hot tub. Yes you read that right. We had our own private hot tub out on the deck. With an unspoilt view of mountains and trees and just the sounds of the birds to serenade us, it was the perfect way to unwind after a day of exploring. And if you’re anything like my family, it turns out is was also the perfect way to wake up in the morning and a fun way spend the afternoon too. Basically anytime we were back at the lodge for long enough everyone was straight in there. And if you ask my children what the best part of the holiday was they would say “hot tub” straight away without hesitation. I’m actually quite concerned how we’ll ever get them to stay anywhere that doesn’t have a hot tub now! Enjoying the view from the Hot Tub. 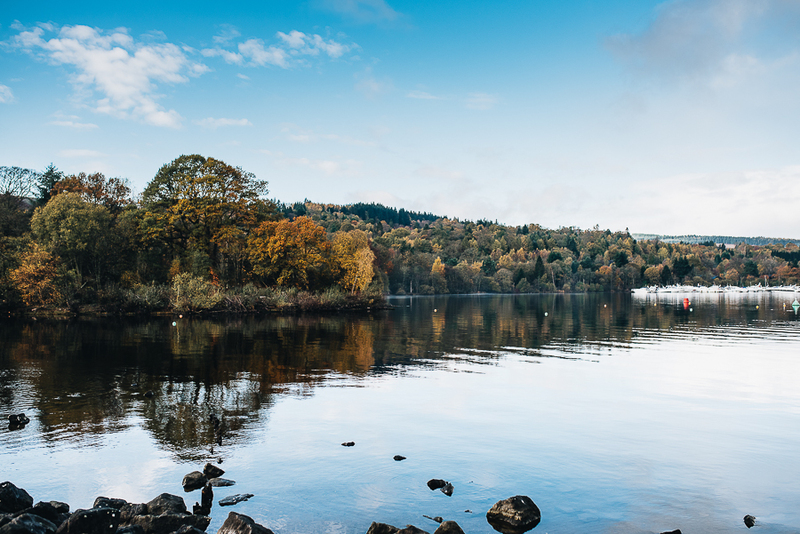 The lodge itself was on a Holiday Park called Lochgoilhead Lodges which is on The Drimsynie Estate, right on the shores of Loch Goil in the midst of the Loch Lomond National Park. We loved getting out and exploring the local area but there is so much to see and do on the estate itself that it would be easy to spend the whole holiday there if you wanted to. There was an indoor swimming pool, a soft play area and an arcade, they even had an indoor badminton court. There is also a shop, a restaurant and a takeaway on site and we very much enjoyed having takeaway pizzas one night, and even got to try a local delicacy; deep fried mars bars and Irn Bru ;) It had to be done! The centre is very much geared towards active holidays and they put on a range of activities for the children to try. Our children had the best time having a go at the crazy karts and the archery, and they were definitely one of the highlights of the week for them. There is a whole host of activities and entertainment to choose from, covering all ages, there is something for everyone. We visited lots of places on our trip and there is so much to see and do in the area. 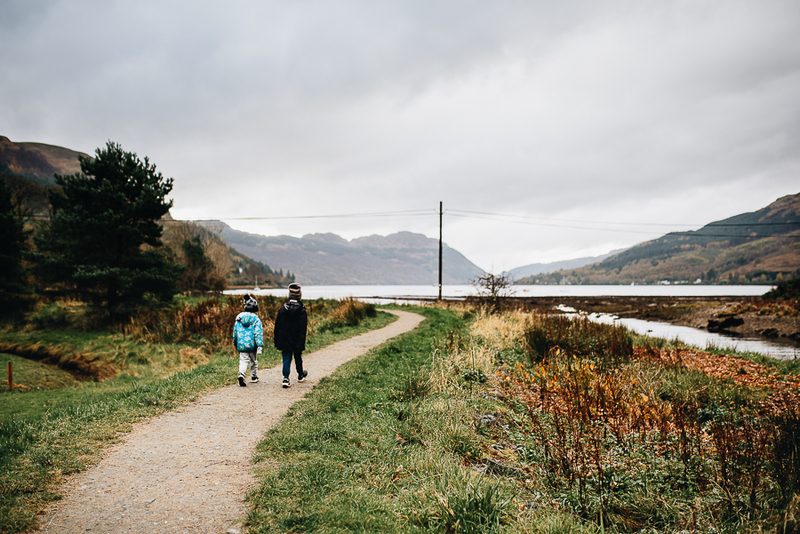 I will blog some of my favourites separately very soon, but here are a few photos from some of the places we explored that I would highly recommend if you are lucky enough to visit Loch Goil! 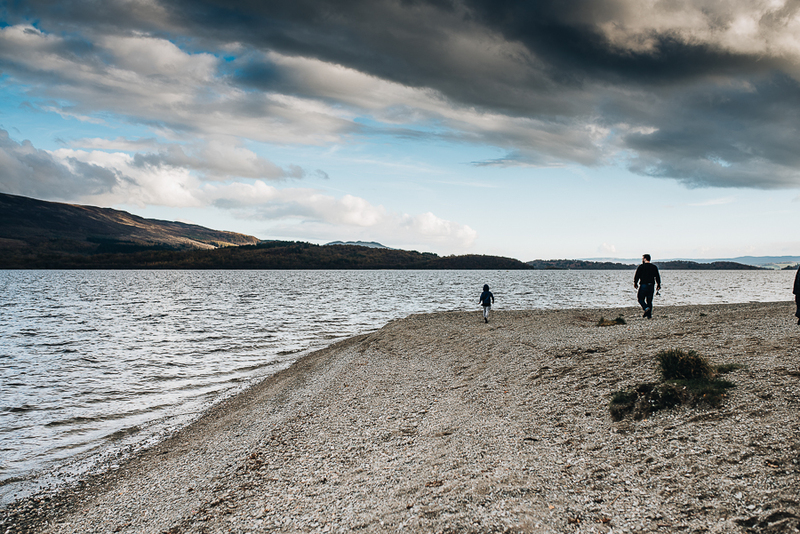 We drove past Loch Lomond on the way to Lochgoilhead but we also visited it a second time too. 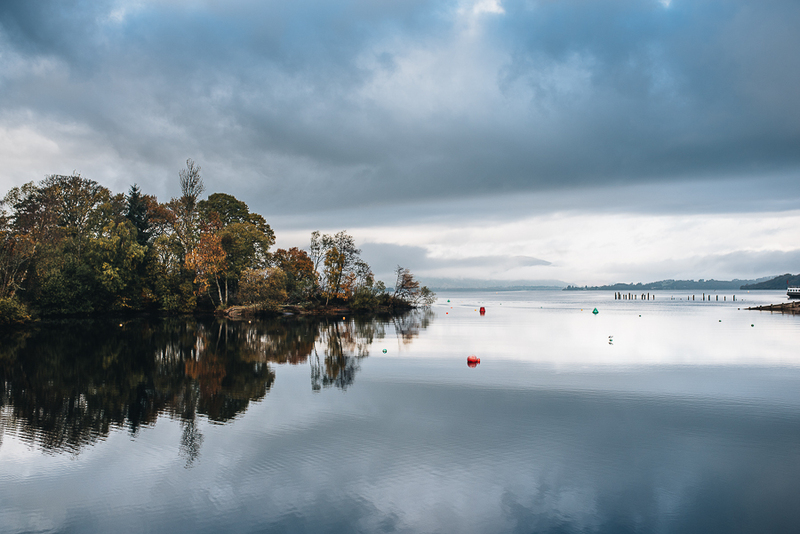 There are many places to stop and admire the view and lots of things to do all around the loch. With a Fairytale Castle, and lots of quaint shops and cafes, Inverary is a lovely little town to explore. There is a stretch of road that you drive along to get to Lochgoilhead called “The Rest and be Thankful.” There is a car park and view point along the way and we had to stop every single time we drove past. Rain or shine it was irresistible, and it’s not hard to see why it is so named. I don’t think you could ever do anything but rest and be thankful whilst looking at that view. 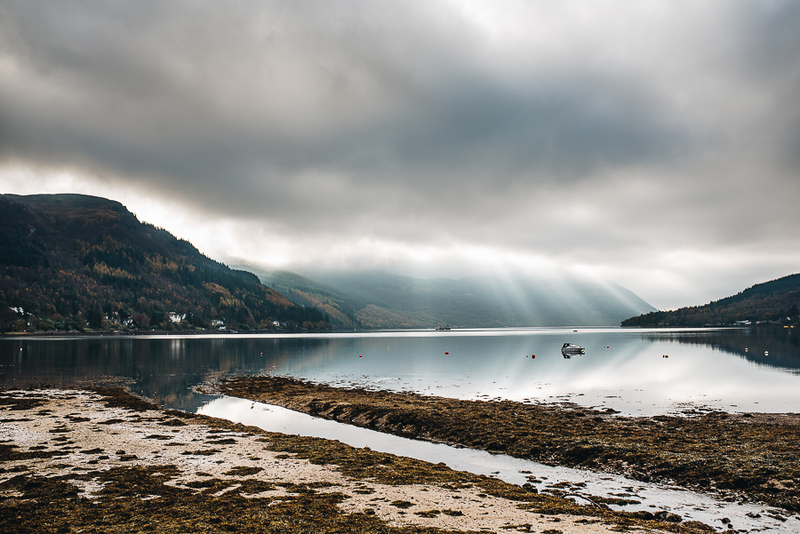 Lochgoilhead village is just a short walk along the loch and the views are stunning. It was well worth an early morning walk down there to see some perfect reflections and the sun bursting through the clouds to greet me. 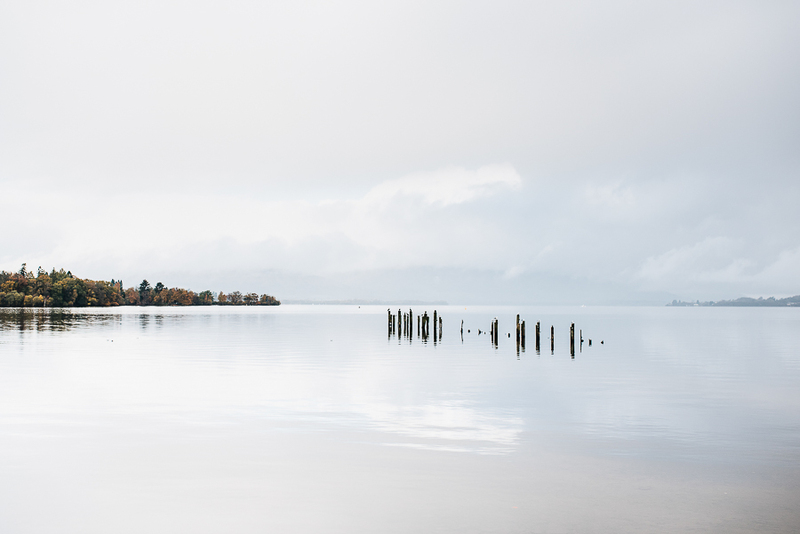 It takes forever to get anywhere in Scotland as you have to keep pulling over to take photos. Or at least I do anyway. Here are a few favourites taken from the side of the road. I will be sharing lots more of our trip soon, and there are several posts over on my Instagram if you want to take a look. 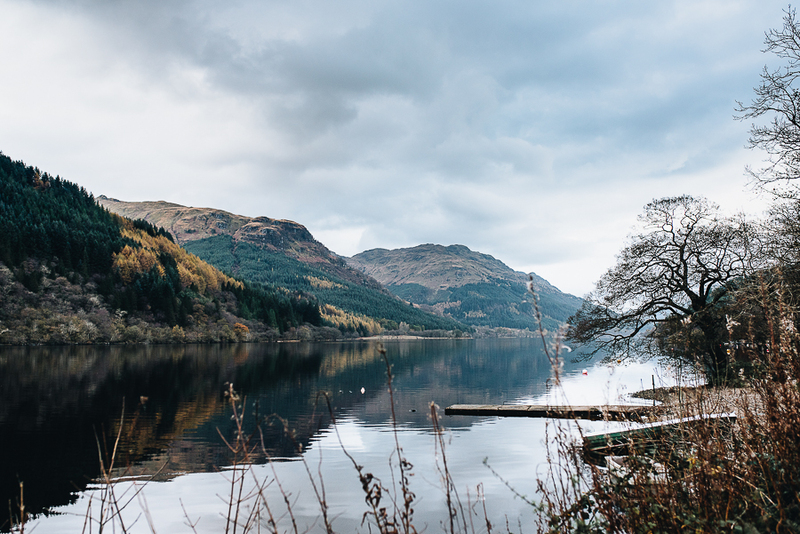 If you want to have your very own Scottish adventure, I can highly recommend Hoseasons and the Lochgoilhead Lodges. We had such a relaxing family holiday, which with 3 children is not always guaranteed, and I am already dreaming of going back to Scotland again very soon! It is definitely one of my favourite countries on the entire planet and it is a Photographer’s paradise, so if you’ve never been, then it’s time to start planning! Thank you! Please do check your emails and confirm your subscription. *Our holiday was gifted to us by Hoseasons. But the thoughts in this blog post are my own.